Separate payment - This is the most popular method of payment if you want to make surprise someone, but you are in different places! It is very convenient when the bouquet or gift is delivered to one person and the payment is completed by another. After selecting this option one of our courier will arrive to your place in Moscow for taking money, and the second courier will deliver your order to address mentioned as "delivery address". 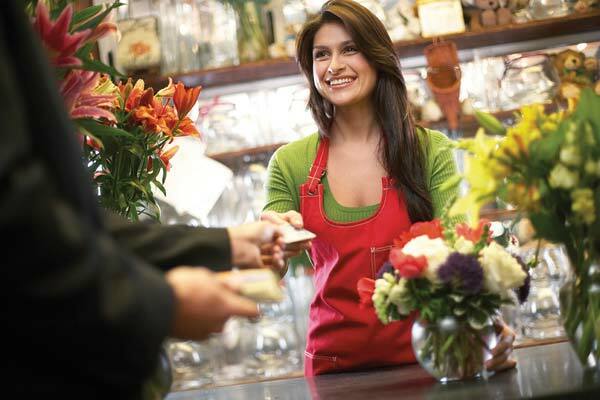 Payment on delivery - Use this method of payment in the case when you want to present the bouquet yourself. For example, before going somewhere for some occasion (anniversary, wedding and so on). Our courier will deliver the bouquet you chose to your home or office and you will pay at the moment of receiving the flowers. The Customers Support team of our shop will gladly answer all your questions about these kinds of payments, just call by one of phone numbers mentioned on the top! We accept payments using credit cards including MasterCard, Visa, Diners Club, AmEx, JBC, and Discover. We have 3 payment gateways 2Checkout.com, PayPal and MoneyBookers for secure transaction. After making payment on you will be navigated from payment gateway page to our website. Quick payment: you make the payment exactly at the moment of ordering. In this case number and price of order go to the payment interface automatically. You only have to write the details of your card in. Set aside payment: this kind of payment is used when due to some reasons you couldn’t make the payment at the moment of ordering and also if you made your order by telephone, E-mail, ICQ. In this case you will be asked to write in not only the details of your card but the amount and the number of your order as well. You can pay for your order from any commercial bank transferring the money. This is mainly for legal and physical entities by money transfer from your account to the account of our company. If you chose this method of payment please note that a transfer may take 1-2 banking days. The amount of your payment should be equal to the total price of your order. Once the payment is completed please send us the check via fax or email in order to avoid delays. You will get a confirmation of money receipt at our operating account. After the money is credited to our account, your order will be fulfilled! You can make a payment if you have an WebMoney account which allows using money funds in order to pay for ordered products just in a couple of minutes. An accounting system WebMoney Transfer provides account operating in a real time by means of accounting units – title signs WebMoney (WM). If you prefer to use this payment option, please transfer the money to this Purse number: 41001476370744. After payment please send us an e-mail, indicating the total amount of payment and your order number. Service money transfer without opening an account is designed for those who urgently need to send or receive money with minimal costs and a guarantee of reliability. Contact - this is the first Russian system of money transfers and payments without opening an account in rubles, U.S. dollars and euro in Russia, CIS and abroad. Commission with the sender is 2% of the transfer amount in rubles, 2-3% of the transfer amount in U.S. dollars and euro. The translation is carried out within 24 hours. The recipient of a money transfer is paid in full, with no commissions. The simplicity of design, as for the recipient, and for the sender. Anelik ia a money transfer system without bank accounts. Money transfer system «Anelik» take and give to 65000 points, 90 countries worldwide. This system guarantees a transfer within 1-24 hours. Registration of the transfer takes about 3 to 5 minutes. Anelik's fees are much lower than those of their competitors. UNIStream International money transfer will help you send money without opening a bank account. The advantages of this system: The recipient does not incur any costs, convenience and simplicity of the transfer of all money transfers are accepted and given in cash in U.S. dollars, Euro and Russian rubles. The Commission is a money transfer starts from 1,5% depends recipient's country. MoneyGram is a global leader in worldwide money transfer services, working closely with specially chosen agents in 180,000 locations across 190 countries and territories. MoneyGram is little bit cheaper commission fees than Western Union. Transfer takes about 15...50 minutes. Quick Post - this is money transfers for individuals without bank accounts. The speed of the implementation of rapid transfer of this system is equal to 1 minute. Commission charged for the transfer, regardless of the amount of 2%, minimum $ 5 or 5 Euro. The total number of points, money transfer system «Fast Mail» exceeds 5000 in the territory of CIS countries. The advantages of the system is its speed, a minimum of formality and accessibility - more than 5000 points in the 11 countries. Migom - a program of non-cash transfers of physical persons without opening an account in Russia, CIS and Baltic countries. Advantages of remittances MIGOM obvious - the maximum speed of money transfer - only 5-10 minutes, low commission rates - 2 to 3% of your money, implementation of the transfers and the issuance of money transfers in Russian rubles, U.S. dollars and euro, the payment money transfer without commission; easy when you make a money transfer. Western Union - Very comfortable way to transfer money for those who live abroad. If you, for example, live in USA and want to order our service for your relatives or friends who live in Russia, it’s the most comfortable and quick method. It's possible to send money by Western Union from 170 000 places all over the World. Sberbank Russia - Only for Russian residents! If you want to speed up the payment process you can first place the order on our website and select “Bank transfer” as a method of payment. After the payment in Sberbank please send us the copy of the payment order by our e-mail or telephone us to tell you have paid and provide us with order number and payment order number. If you live in Moscow or somewhere in Russia, you can deposit funds at any terminal shown on the left. These terminals are as common as ATM Machines in Moscow and St. Petersburg allowing our customers to save time by paying at terminal closest to your home or work. Currently terminals boasts over 1,000 separate pay stations in Moscow, around 150 in St. Petersburg, with terminals in Smolensk, Kazan, Ekaterineburg, Nizhnii-Novgorod, Rostov-on-Don, Samara. 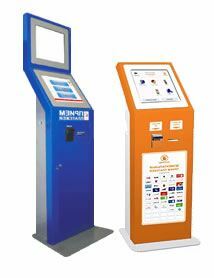 These terminals are located at many major supermarkets, gas stations, subway stations, metro stations, cafes, drugstores, bookshops, and other locations. 4. Deposit requested amount into the Terminal. 5. After completing the above steps - please contact us by email and include the total amount you sent and time of the payment. It may take up to 24 hours for funds to be deposited to our account. Please keep the receipt for delayed transactions.